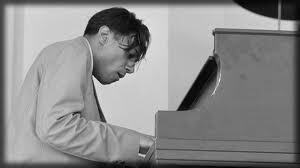 On June 18, we lost one of the few remaining Jazz giants, pianist Horace Silver. As a serious fan of this man’s music, I have to take you all the way back to my early teen days in junior high, when I first heard a tune called Filthy McNasty. 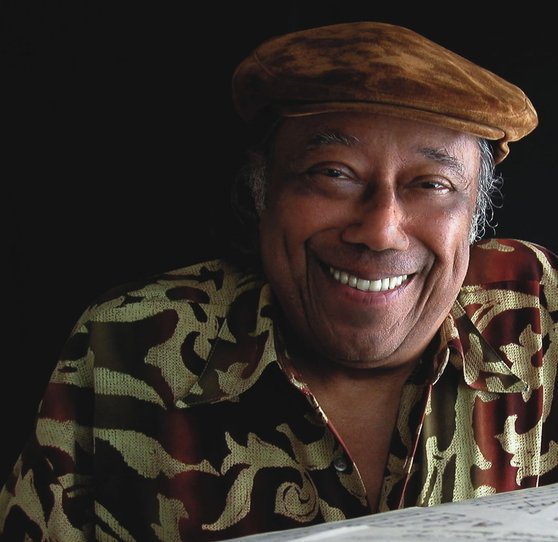 A live set (recorded at the Village Gate) finds pianist/composer Horace Silver and his most acclaimed quintet (the one with trumpeter Blue Mitchell, tenor saxophonist Junior Cook, bassist Gene Taylor and drummer Roy Brooks) stretching out on four selections, including this song “Filthy McNasty in May 1961 . Its 1963, while most kids my age were groovin’ to Motown sounds, a handful of my special friends and I were learning instruments. We soon got to take our parents records to listen and try to emulate what we heard . besides the BB King, Ray Charles and Bobby Blue Bland records, our parents also had, Dexter Gordon, John Coltrane, Miles Davis, Duke Ellington, Lee Morgan and Hank Mobley to name just a few. 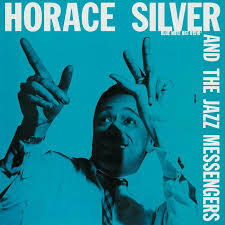 My Dad either didn’t know about Horace Silver, or he didn’t like him, but I liked him. My best friend Ray had a cousin who was away in Viet Nam, so we had full run of his cousin’s album collection. Man! this cat had everything jazz, needless to say …He had a lot of Horace Silver including the Stylings of Silver , Blowin’ the Blues Away,Silver’s Serenade, also I got hip to Donald Byrd’s Cristo Redento, The Way I Feel by Big John Patton and even Ramsey Lewis Trio, Barefoot Sunday Blues. but it was always Filthy McNasty that we blasted first and foremost. Horace had that real Bluesy sound without turning off the straight jazz fan.. I describe it as a bouncy, barrel-house saloon type blues with hip, clean lines and definitely FUNKY HARD BOP. Hard Bop, an extension of bebop (or “bop”) music. Journalists and record companies began using the term in the mid-1950s to describe the new current within jazz which incorporated influences from rhythm and blues, gospel music, and blues, especially in saxophone and piano playing. Purist would easily say, Silver is the Cat that put Hard Bop on the map with fellow band mate/drummer Art Blakey, when they fronted a group called the Jazz Messengers, leaving audiences with their jaws dropped everywhere they played. Horace later split up with Art Blakey and formed all kinds of variations trios, quartet and quintets, staying with the rollicking sounds and gymnastics on the piano with other like-minded cats like Kenny Dorham. Silver burst on the scene with Horace Silver’s jazz Messengers, but now he had a new quintet in 1956 and recording them, which spawned 6 Pieces of Silver. 6 Pieces of Silver is an album by jazz pianist Horace Silver released on the Blue Note label in 1957 featuring performances by Silver with Donald Byrd, Hank Mobley, Doug Watkins and Louis Hayes. “The early Silver quintet was essentially the Jazz Messengers of the year before, but already the band was starting to develop a sound of its own. “Señor Blues” officially put Horace Silver on the map”. By The time I was beginning high school , Horace was reinventing himself, stylistic of previous bands, but growing funkier and introducing stronger disciples playing with him, enter saxophonist, Joe Henderson. Horace Silver 1964, Song for My Father. You know.. of all the songs, albums, and performances by Horace Silver, None of them connected with the general public like Song For My Father did. If not for Lee Morgan’s Sidewinder, it would have been the biggest jazz hit of 1964. That cut just carried me away, and put me down to chill and reflect. You heard it everywhere, cafe, barber shops, clubs, stores, on transistor radios and record players in homes..old and young loved this song. Whenever Horace came into Los Angeles, at the world-famous Lighthouse jazz club, He used it as his swan song for the evening. No question.. even before his death, I had been missing Horace on the scene already for years with his ailments not allowing him to play live and in-concert since 2004. A decade off the scene did not make our allegiance and respect for this great musician wane one iota! IMHO, it got stronger. I guess for me, I will always have my special memories growing up, listening to Horace and seeing him at a famous jazz club before I was 21. thats why, even now as I reflect on Horace’s death, I have nothing but joy and happy thoughts. Rest in eternal peace my old friend, some day I will see you again.